Our main home office collection includes hundreds of home office design for all budgets. This collection cherry picks only the very best designs that clearly cost a fortune and look fabulous. To qualify for this post, the design simply needs to be incredible, not necessarily expensive (although most examples below are fairly expensive). Scroll through the collection below for inspiration to create your ultimate home study, den, workspace or home office. With this home office you get a full living room. I love the concept of living space in an office. I wish I had that much space to do that. This is both surprising and interesting. I’m really into investigating home and garden trends and it’s astonishing that since 2004, “home office” has been slowly trending downward. Here’s the chart. If asked recently, I would have thought the home office would be exploding in popularity, but then I thought about it. Technology, ironically, is reducing the need for a home office. In fact, our household is a classic example. My wife and I each have an iPad and we can pretty much handle bill paying and household issues as well as emailing etc. on the iPad doing so on the comfort of a sofa instead of at a desk. Tablets are incredibly powerful, user friendly and can be used anywhere. Even laptops, which are generally preferred to desktop computers can be used anywhere. The fact is, desktop computers are predominantly used in work settings. 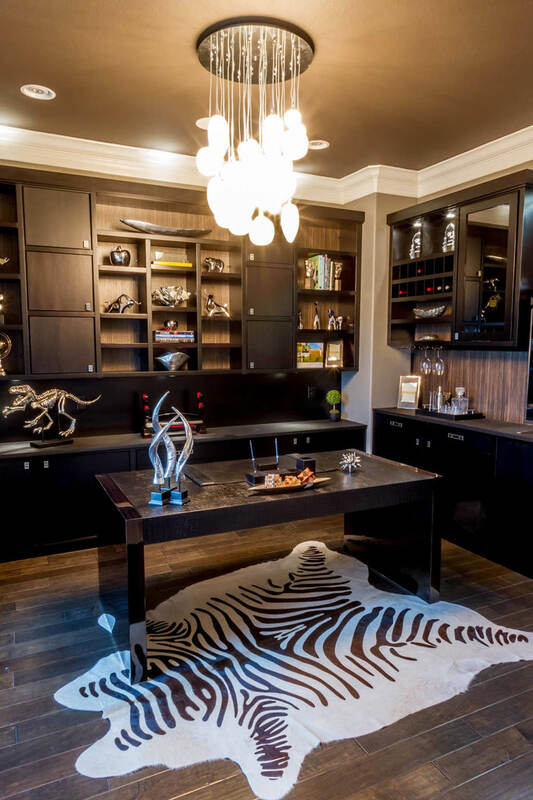 What makes for a luxury home office? There is no one feature. It’s a combination of design quality, materials, size and features. When you look at the examples above, it’s hard to argue they aren’t gorgeous. They certainly aren’t your run-of-the-mill bedroom converted to home office scenarios (not that there’s anything wrong with that… it’s just that the above examples are home offices designed and implemented in the house from the get-go). Size: Generally, luxury home offices are large and include a sitting area as well as work space. Lighting: Notice the attention to lighting detail. The lighting makes a real difference. 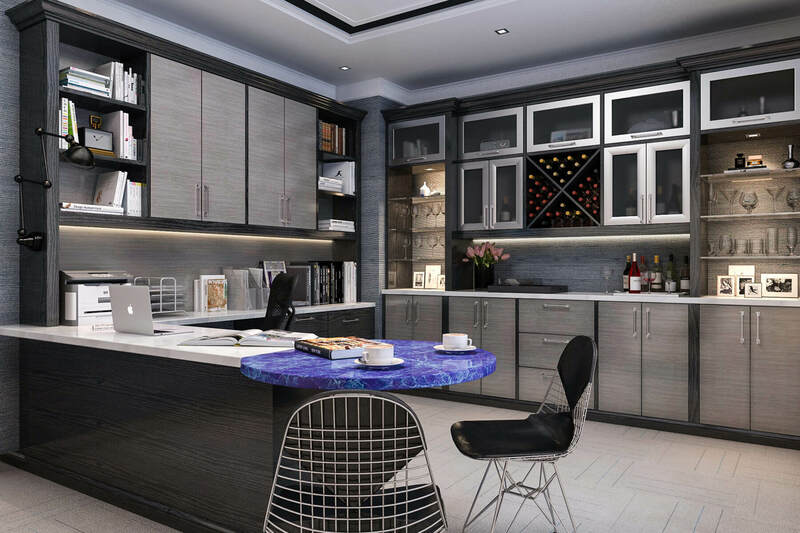 Furnishings: In addition to a custom desk and chairs, there’s custom lounge style furniture, built-ins and other cabinetry. Windows: Most of the above aren’t stuck in a windowless room. They offer wonderful views of outside and enjoy plenty of natural light. Fireplace: Many of the above have fireplaces; they’re truly very comfortable rooms.